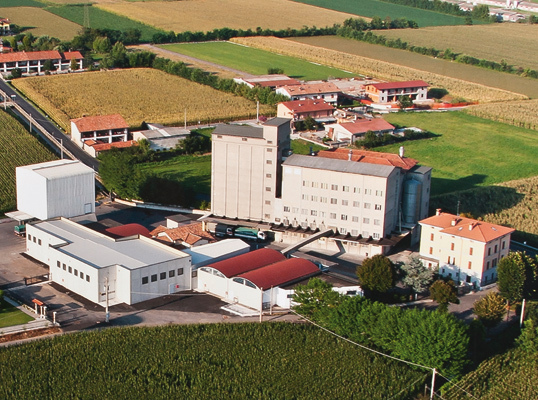 The milling company of the Piantoni family was founded in 1850 by a precise desire to work with seriousness and love what nature offers to man as a precious and irreplaceable good: wheat. Since then, the same attention to quality has characterized the work of 5 generations that today present themselves at the challenge of the third millennium, offering its customers artisans and industrialists of white art a constantly improving quality. Today, as then, the company hasn’t stopped making tradition as its flag and a pillar on which to continue to build and innovate. 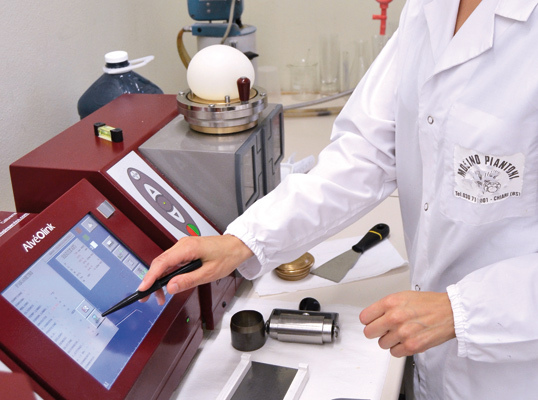 An innovation made of research on products, on the needs of the market and on the controls in the laboratory to guarantee a service and excellent flours to its customers. 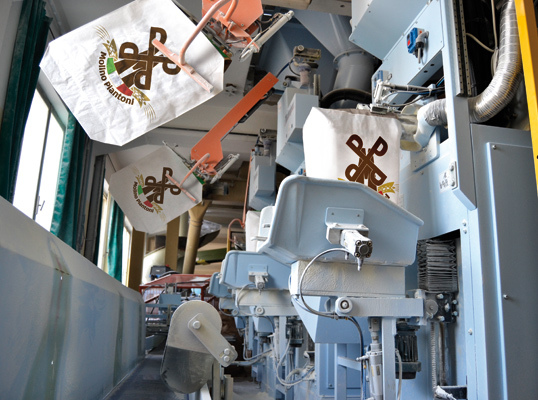 In its path of growth and rootedness in the territory, Molino Piantoni has come to build a vast range of products, from soft wheat flour, by-products of the milling and up to the marketing of flour of other cereals or mix with a classic and natural processing. The company, to ensure quality and reliability of its products, performs accurate checks during all stages of production. Thanks to the laboratory, chemical-physical and microbiological analyzes are carried out from the raw material to the finished product. A line designed specifically for the professional needs of pizza-makers. 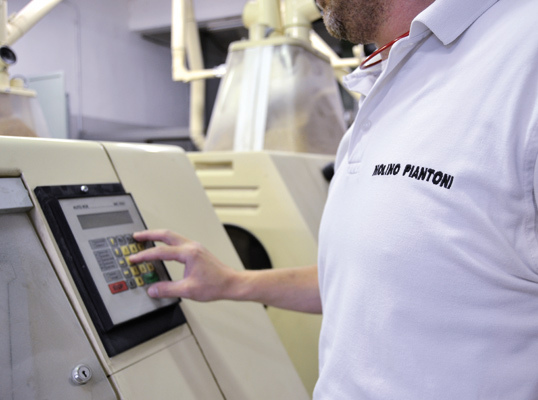 Thanks to more than ten years of experience directly in contact with the pizza-makers of Italy, we at Molino Piantoni have developed product designed to fully satisfy the professional needs of the sector. With the aim of providing a genuine product with workability characteristics suited to different needs, we made in-depth checks on raw materials and selected grains that originate flours with ideal requirements for the production of an excellent pizza. 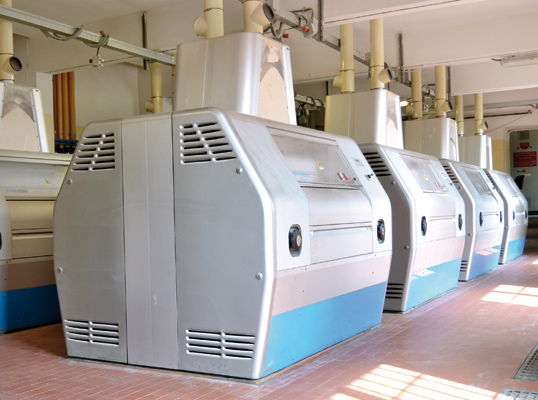 From this work in synergy with all the company functions, a "dedicated" line was created for pizza makers and in particular the "00 MD" type flour. With the use of this product the pizza-maker can obtain a soft, silky dough that is easy to stretch, without the annoying (and tiring) inconvenience of the "return of the dough". Thanks to a mixture with these characteristics and a well-controlled leavening, it is therefore possible to obtain a soft but at the same time fragrant pizza without having the sensation of gumminess under the teeth when preparing to taste the "cornicione"(crust). Together with the praiseworthy characteristics with the sense of taste, you can also appreciate a beautiful golden color, typical of ripe wheat, and an inebriating perfume that will allow even better to appreciate and give the right value to the work of the pizza maker. This line is of professional flour for piazzaioli has been approved by the Associazione Verace Pizza Napoletana and Molino Piantoni is registered in their register of suppliers.